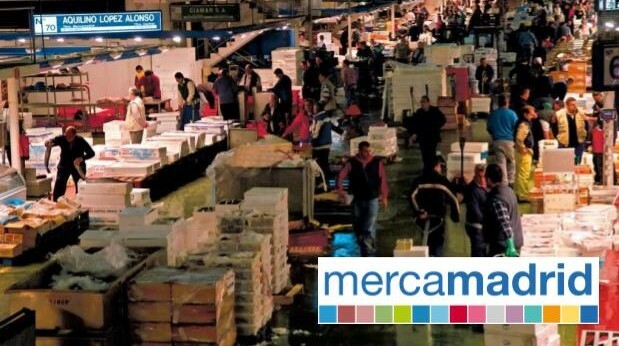 Mercamadrid is the epithomy of a food business hub, which supplies almost 12 million people. It is known as the biggest perishable food market in Europe and the second biggest Fish Central Market in the world, right after Tsukiji, Tokyo. After 34 years of operations, the company Mercamadrid, S.A. faces the need to improve and upgrade its facilities at the Central Fish Market. In order to achieve this, it is fundamental to implement cutting-edge technologies related to energy saving and insulation optimization so that Mercamadrid can become a reference for the food distribution sector. The client wants the conditioning and energy optimization of a warehouse in the Central Fish Market in Mercamadrid. The ultimate goal is to find a solution that keeps the warehouse at an ideal maximum temperature of 15 ºC (18 ºC could also be valid as a extreme option ) with no minimum temperature limitation, from 10pm to 11am, at the lowest energy consumption and investment. A quarter of heat is lost through the roof in an uninsulated building, imagine how much heat that is in a temperature-controlled warehouse. In this case, insulating the roof is a simple and effective way to keep temperatures up during the summer, reduce heat loss in the winter and reduce the heating bills. Thermal insulation is effective for at least 40 years and it should pay for itself many times over. Insulating the solid walls will cut the heating costs considerably, because solid walls let through twice as much heat as cavity walls do. The good news is they can be insulated. For this insulation project, the warehouse needs to maintain a constant temperature in order to keep the fish in the best possible conditions. The truth is, if this could be achieved by not wasting heat or cooling power, a great amount of energy will be saved and the warehouse will be greener and more eco friendly. The winner of the “Thermal Optimization of a Warehouse” Challenge will be awarded with a 8,000 € prize and 900 € for each 2nd and 3rd best solution. We are rewarding a sustainable solution that implements new and groundbreaking energy saving techniques, which has both a green and social impact. This insulation project is no small task, and so the winners will be made visible on our social media platforms (Facebook, Twitter, and LinkedIn) and through Mercamadrid. The solution will be assessed in terms of efficiency, considering both annual energy cost, cost of maintenance, and ROI. For further specifications, register in our webpage and obtain all the data an annexes with the necessary information.